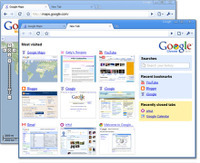 I am a FireFox user, but am interested in finding out more about the new Google Browser called Google Chrome. The design looks clean and direct, for those that want a simple browser. Here are the details about why Google built the browser.